With legendary music executive Tom MacDougall, the man behind Coco, Frozen, Toy Story, Cars, Finding Nemo and many more. Just me, Meeper and Oscar! So appreciative of the support and recognition of my peers. 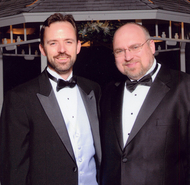 With Left Behind CEO Troy Lyndon at his company's black tie launch party. Just hanging around with video game pianist Martin Leung and video game pioneer Hal Rushton. 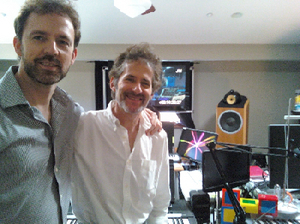 With legendary film composer James Horner. 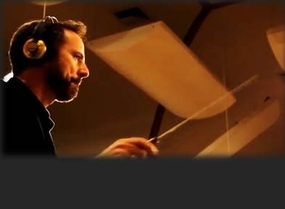 It was my privilege to be mentored by him while working on the video game score for AVATAR. What an brilliant, generous and humble man. No, tell me what you really think of those brass charts! Good times with some of LA's top session musicians after our Avatar sessions, Newman Scoring Stage, Fox lot. 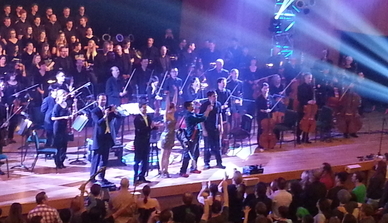 Standing ovation with the Utah Symphony after guest conducting my Theme For Rohan from Lord of the Rings Online. Front of stage from left Chance Thomas, Emmanuel Fratianni, Jillian Aversa, VGL founder and host Tommy Tallarico, and Andrew Aversa. 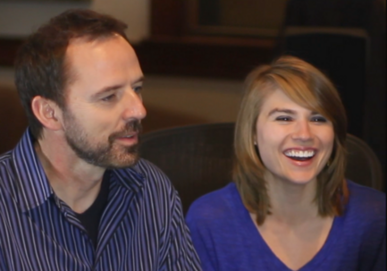 Fun moment in the studio with YouTube sensation Taylor Davis. We were in Boston recording her violin performance of my Theme For Rohan. A little fun with the musicians after our recording session for Might & Magic with the Utah Film Orchestra. "But, I thought 32nd notes at 165 bpm would be COOL." Just finished recording one of my compositions in the famous Mormon Tabernacle with conductor Mack Wilberg, producer Quinn Orr and the Orchestra at Temple Square. 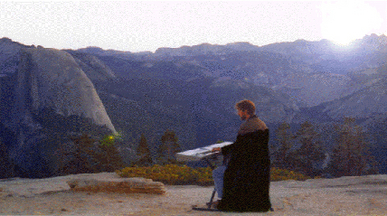 Sunrise across from Half Dome in Yosemite National Park. Those were the early days of HUGEsound, back in north central California. Braving the cold at the Sundance Film Festival with Oscar-winning producer Jacquie Barnbrook. With Nobuo Uematsu after our keynote session at GDC SF. With the one and only Lindsey Stirling after an energetic and exciting show. With sound designer Tim Larkin holding the Oscar we won as part of the ChubbChubbs team. With music journalist Scott Iwasaki, in front of his massive music collection. The old days of hand notating. Conducting the Quest for Glory V Overture back in 1997. Nice vest! With long time collaborator Paul Taylor, music prep extraordinaire.